Booking a venue for the show is your first step, of course, and it is also likely to be one of your largest costs. Keep in mind: some venues may let you have space for free, and other venues you may cut you a break if you book your shows in their place exclusively. If you're delivering a packed house every time, don't forget the venue is cleaning up at the bar thanks to all of the people you're bringing through the door, so don't be afraid to try and negotiate a deal if you have a proven track record. You can also reduce venue booking costs in some cases by booking your show on an "off" night, say, a Monday. Be careful, though, off nights are off nights for a reason, this isn't always a good deal. Advertising costs can vary greatly. They can include everything from printing up posters to taking out ads in the press. Try to keep your spending on advertising in line with your likelihood of making money on the show. In other words, it doesn't make much sense to spend hundreds on magazine advertising for a show that might attract a crowd of 30 or less. The rider is the musicians' favorite part of the show and the music promoters least favorite. Again, the costs here can vary a lot. You may simply be providing a few drinks, or you may be providing meals, snacks, and drinks for a sizable group of people. Be clear when you book the show what you will provide for the rider. You can ask the musicians for preferences but make sure everyone is on the same page with the rider from the outset. You can also handle the rider through a "buy-out." That means instead of buying stuff for the musicians to eat and drink, you'll give them the cash you would have spent on the rider so they can get their own stuff. If the musicians need a certain instrument or piece of gear for the show that they can't travel with, you may need to rent it. Usually, you can charge the musicians back for this costs (meaning you withhold the cost from their pay for the show), but again, you need to be clear about this from the start. Depending on what level you are promoting shows, you may have to provide accommodation for the musicians. In many cases, promoters will pay upfront for accommodation and then charge the musicians back. This is another thing that needs to be clarified when the concert is booked. Printing up tickets is far from a necessity for small shows, but music promoters may have to shell out to print tickets for larger shows. 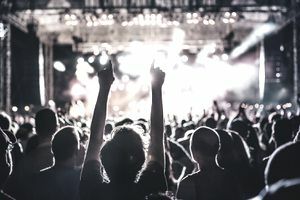 This one doesn't happen very often, but if the venue doesn't have an in-house sound engineer and if the band doesn't have their person, then you may have to pay a sound engineer for working the show. These are the main concert costs a music promoter has to contend with. Now you'll be able to come up with a budget for your gig and calculate what each of these costs will set you back.